Last Friday was November 1, the official beginning to the Samhain season. Though astrologically, “true” Samhain begins on November 7th this year, giving us an opportunity for a seven-day celebration if we wished. 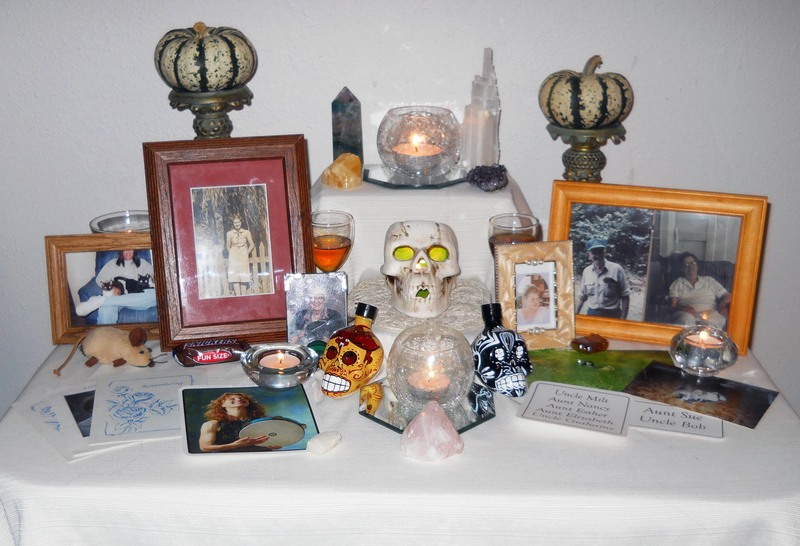 My Altar to the Beloved Dead for 2013. 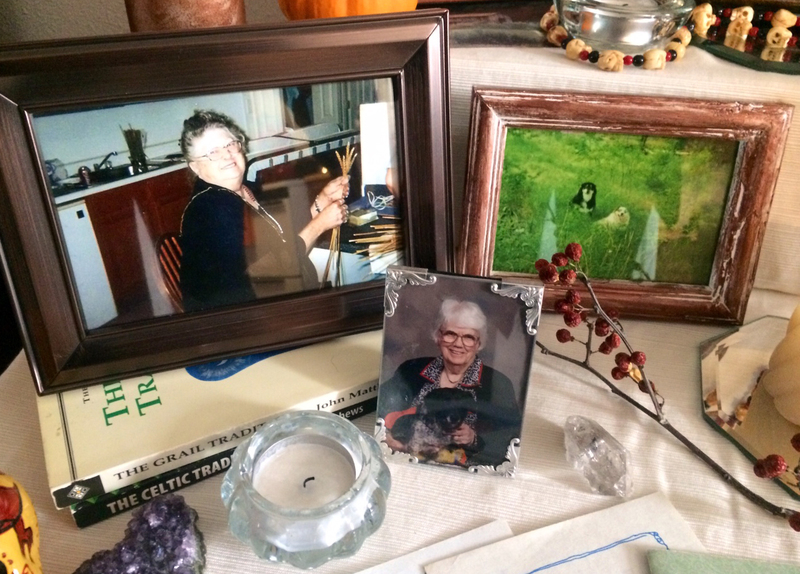 For the last four or five years, I’ve set up my big ancestor altar – though I usually refer to it as the Altar to the Beloved Dead – a full week or more before Halloween and leave it up until mid-November. It’s just not something I care to rush. There are always the fond and familiar faces of my grandmother, great aunt and uncle, much-loved elderly mentors, and even much-missed pets. A couple weeks ago, I began to build it again. This time, I was thankful that I was putting up the same faces because there could have been a new face there. One of my nephews suffered a life-altering blow when he was hit by a semi while driving home from work in July. There were a few days when we weren’t sure if he would survive. He did survive, although he continues to find his new normal. But his spirit is strong and feisty, and I was relieved that he pulled through. But during the last week of October, I heard through the Wild Hunt blog that renowned frame drummer Layne Redmond had passed after a long struggle with breast cancer. Her music is ethereal, beautiful, and rich. Her book, When the Drummers Were Women, was inspiring and helped me to gain courage to step into drum circles even when I wasn’t very good. 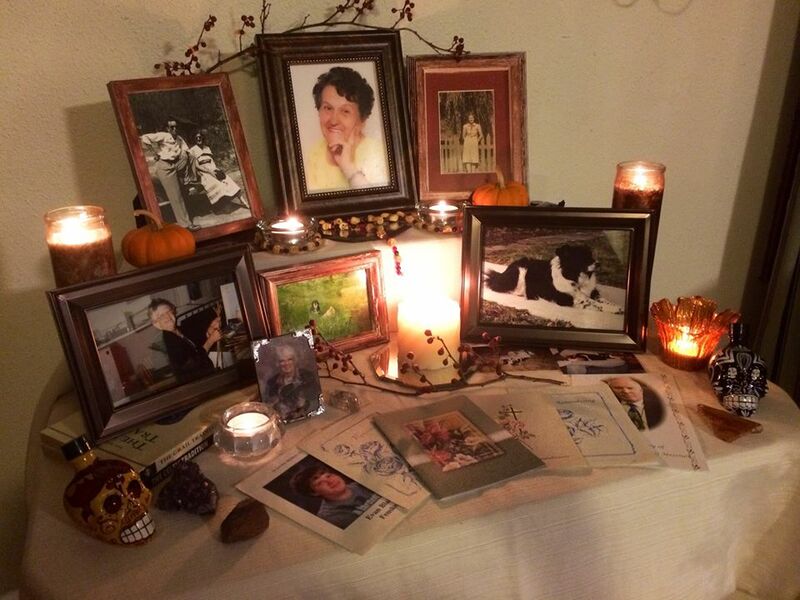 With sadness, I added her to the altar. No, I didn’t know her personally, but she had a significant impact on my life. Then a coworker lost the battle to cancer on October 30. And a few days ago, my former mother-in-law also succumbed to cancer. Both of these individuals were bright rays of sunshine in a dull world, and they will be missed. They loved life more than many I know, so it seems a shame that they were taken from it so soon. 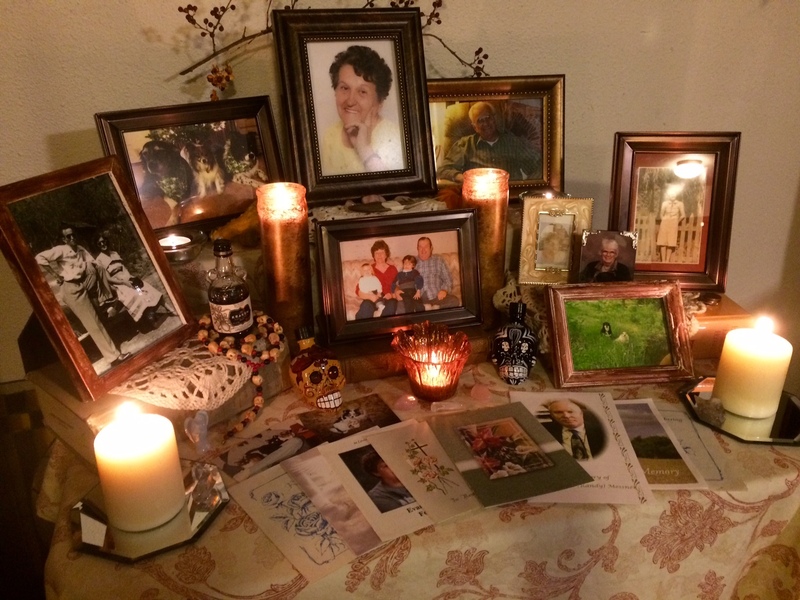 I’ve come to find my Beloved Dead Altar as a way to deal with the grief of losing people, but I’ve never seen so many losses so close to Samhain. It makes the altar all that more important and poignant to me. All this thinking made me wonder if any of you find it to be the same? 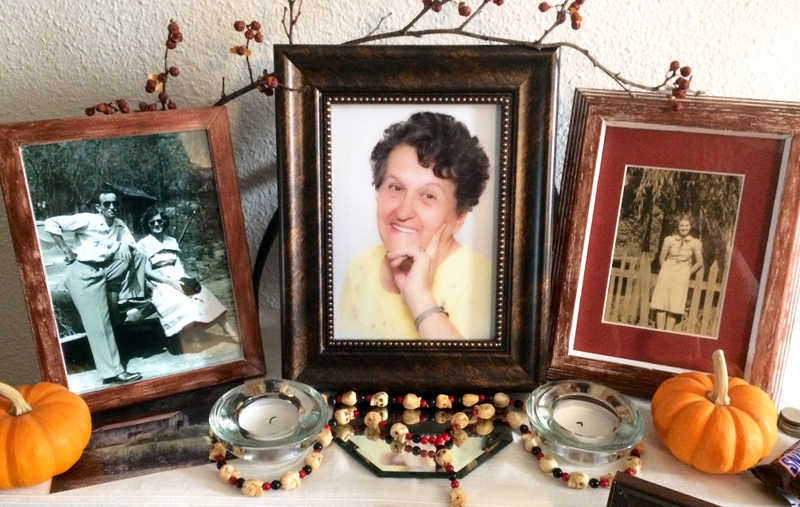 In a world that tries to shoo death under the rug, does the practice of honoring the dead help you not only to remember them, but to handle the loss? In my post yesterday, I opened a can of worms in proclaiming that working with recent ancestors has been more meaningful to me than distant, ancient ancestors. I had more to say, but the post was already too long. So consider this post an addendum to yesterday’s. Basically, I wanted to add some words of advice/caution in regard to this work. Note that I’m not claiming to be an expert, but I’ve found these helpful. No, that’s not a very polite statement, but it’s true. Don’t try to approach any serious ancestor work (or working with any spirit, for that matter) when you are an unfocused, emotional mess. Try meditation and some basic shadow work before trying to contact someone from beyond for insight. And know how to spiritually protect yourself. 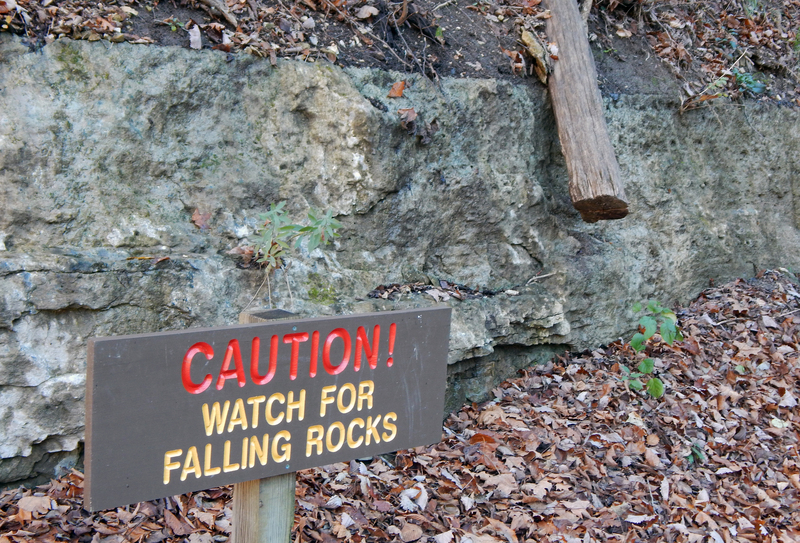 There are plenty of methods and sources for this information, so there’s no excuse for not going into this prepared. I know – this is just no fun. But the great thing about working with ancestors from the past 100 years or so is that there is a good chance you know something about them. Whether from family stories or old newspaper articles, it’s likely that you can get some sense of their character. (Barring some pretty heavy-duty psychic ability, can you say that about an ancient ancestor?) Even the lack of family stories about someone can speak volumes. 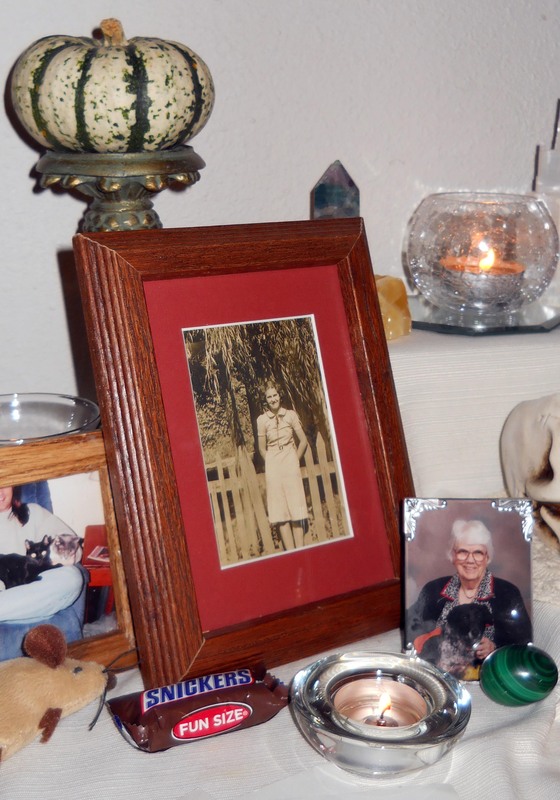 A picture of my grandmother on my altar to the beloved dead. Why is this important? Because you don’t want to work with just any ol’ ancestor. Logic dictates that people you wouldn’t associate with in life may not be good associates in the afterlife. Yes, some things may change for a spirit after crossing the veil, but it’s not a given. Avoiding those who were abusive in their lifetime is probably a good idea. But be sure not to confuse abusive people with flawed people. Yesterday, I mentioned working with my grandmother. She was a flawed person. She did things that hurt others. However, she didn’t intentionally hurt people and much of the problem stemmed from the fact that she was easily manipulated. I strongly suspect the reason her spirit connects with mine is because she’s realized the damage she caused and wants to correct at least some of it. And she knows I’m open to her messages. On the other hand, my late father and his mother were intentionally hateful and mentally and verbally abusive. I wouldn’t work with them even if they begged. Try not to confuse working with the ancestors with petitioning a deity or saint for help. 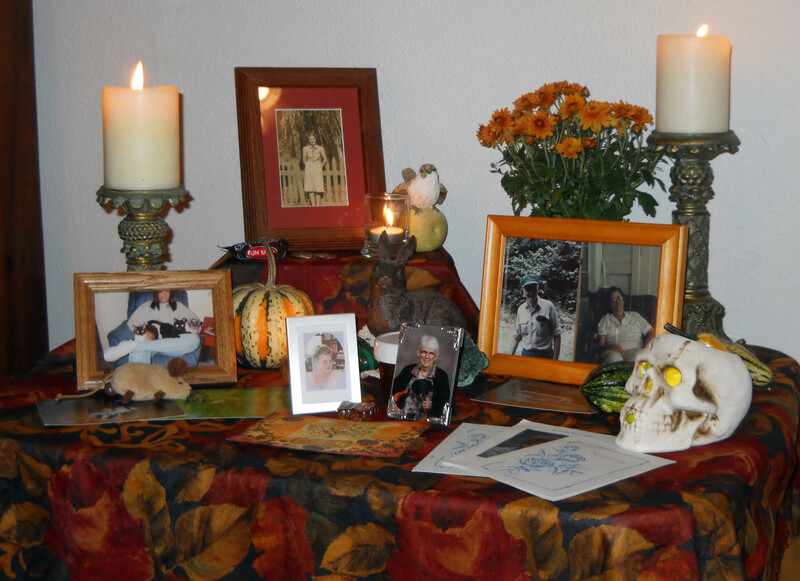 There are many advantages to working with your ancestors: they can give insight to family wounds, provide wisdom and guidance for your life, see a situation you are in from a more informed perspective, and more. But you shouldn’t expect them to cure a horrible disease or change someone else’s mind. Instead, they could help you accept the inevitable with grace and to learn to deal with things outside of your control. And please, don’t waste their time with things that are normal setbacks or things within your control. Asking them to cure your cold when you don’t even wash your hands in public restrooms or to make someone you’ve dated for two weeks fall in love with you is wasting precious contact with these amazing guides. And it’s just bad manners. There’s probably a lot more that could be said about working with the ancestors and the beloved dead, but there are entire books dedicated to that (such as Christian Day’s The Witches Book of the Dead and Christopher Penczak’s The Mighty Dead). I just felt compelled to put out a few basics before moving on to other subjects.